The Genealogy Gems Podcast APP for Android is now also available in the Amazon App Store. 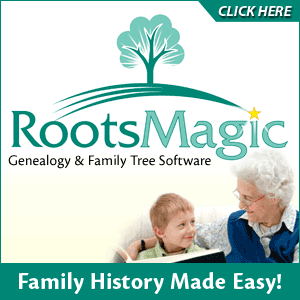 Many listeners write in about Ancestry online trees. Pam and Roxanne comment on the fact that the women in Steve Buscemi’s family tree on an episode of WDYTYA? were listed with their married names and not their maiden names. "A few weeks ago I was delighted to find your two podcasts: Family History and Genealogy Gems. I am a self-taught family historian who has been working on the genealogy of my husband and myself for the past several years. I wish I had found your podcasts when they first came out. They would have undoubtedly made my job much easier!…Thank you so much for your podcasts and I can't wait to work my way through them all to see what other discoveries I can make!" Sign up for the free Genealogy Gems Podcast Newsletter and receive the free ebook – 5 Fabulous Google Search Strategies for the Family Historian.